While I do Race for Life every year, I feel a bit guilty for pestering people to sponsor me (although if you did want to sponsor us, heres the link. I’M JUST SAYING.) I know that not everyone has the ability to donate money, so I thought I would share a campaign that TK Maxx are doing with Cancer Research that most people can join in with. 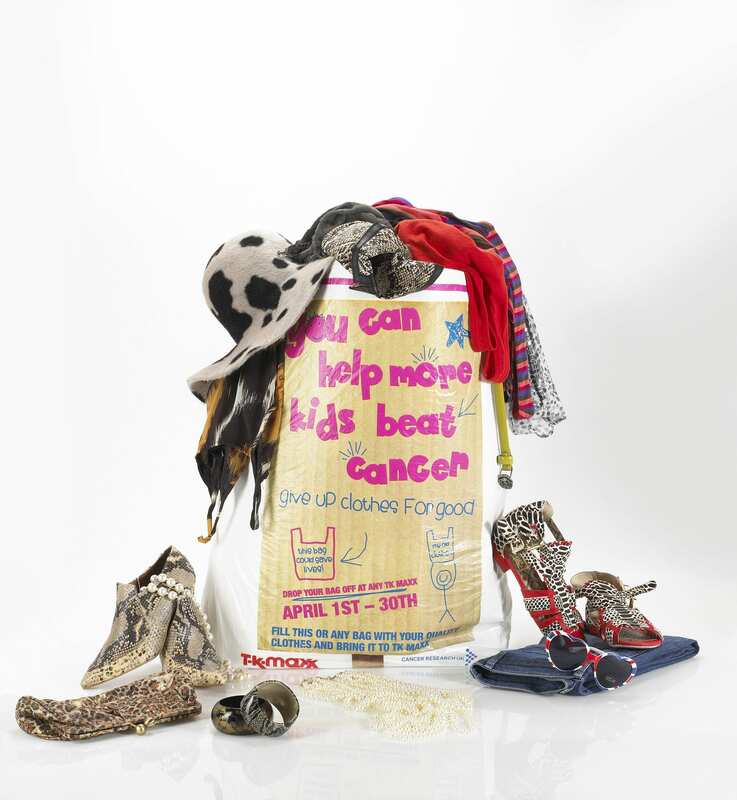 TK Maxx is collecting your unwanted clothes, accessories and homeware this April to give to Cancer Research to be sold in their charity shops around the country. They’ve been doing this since 2004, and have so far raised Â£10 million, with Â£6 million specifically going to fun research into children’s cancer. The money is sent to both research centres and hospitals around the country – in Bristol, funding is given to the Univeristy of Bristol’s research into childhood brain tumours. Nearer to my hometown, Alder Hey is given funding to do research into various trials. That dress that doesn’t suit you anymore will fetch Â£7 for Cancer Research. The skirt that you swore you’d slim into will get Â£5. 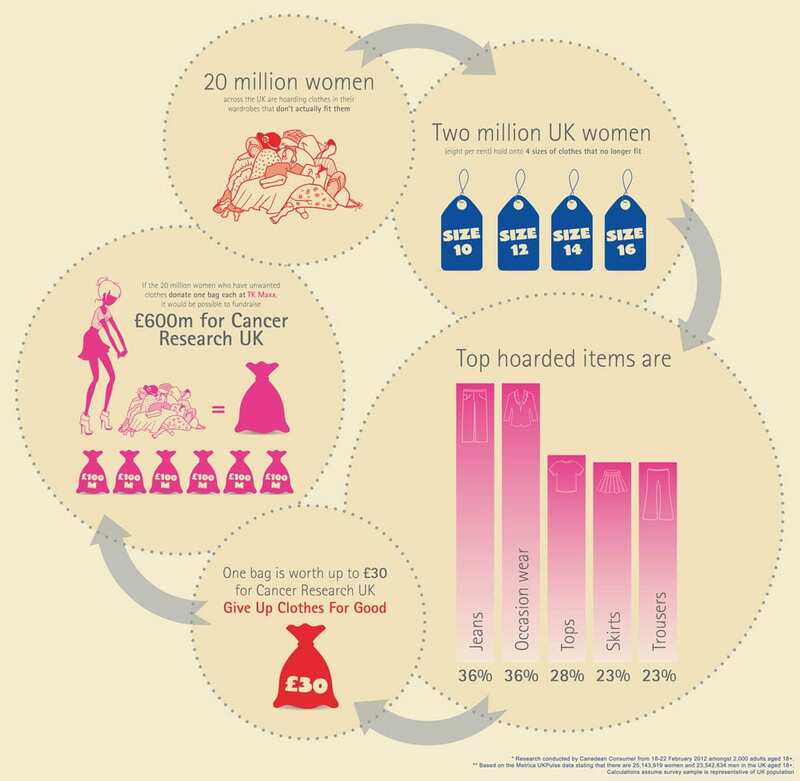 Shoes that don’t go with anything will also bring in Â£5 while a handbag will raise Â£8. I have a huge pile of stuff I keep meaning to eBay – I keep putting it off because I don’t think that it will be worth the time and effort to take the photos and list everything individually, so I could donate it instead. Time saved, and a warm glow inside from helping to raise money for an important charity. Whats not to love? This is such a great cause and some great advice. I donated a whole heap of things to charity that I had planned to sell on ebay and hadn’t got round to doing. They were things that i had loved wearing but knew i wouldn’t need in Bangalore, Hopefully someone else will enjoy wearing them as much as i did and the money raised will go towards helping someone.